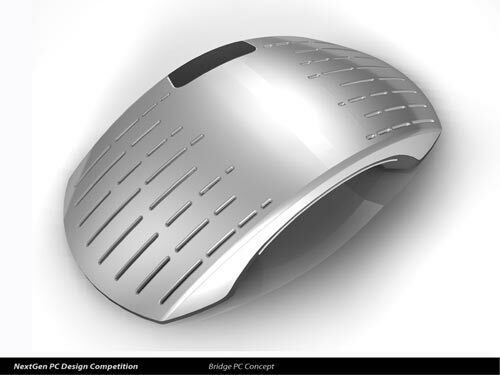 Check out this amazing futuristic PC concept, the Bridge PC. 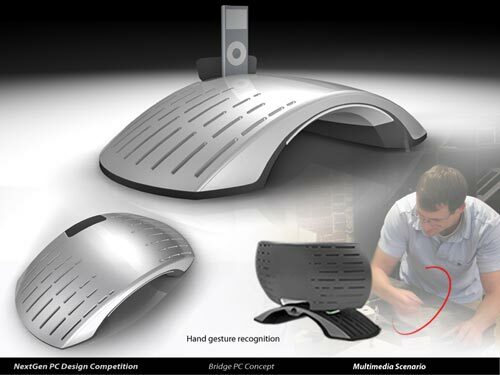 The Bridge PC is designed to support communication, via person to PC and person to person and is designed to bridge the gap between people. This system realizes that to embrace evolving technology, the development of interacting with it must evolve, too. 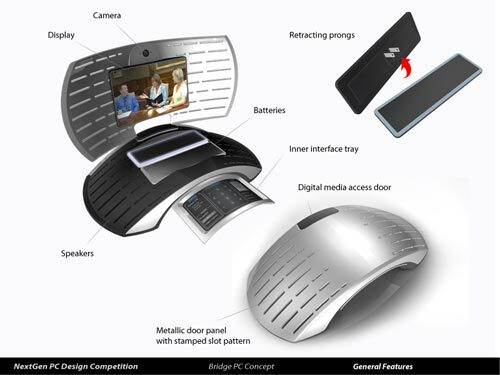 With this in mind, a slide out interface features a curved ergonomic panel that graphically and functionally changes as you navigate through various tasks on the display. This streamlines the input process and promotes expandability and customization within the interface. Interaction with the PC is further enhanced through gesture-like motions disassociated from todays typical press of a button input. 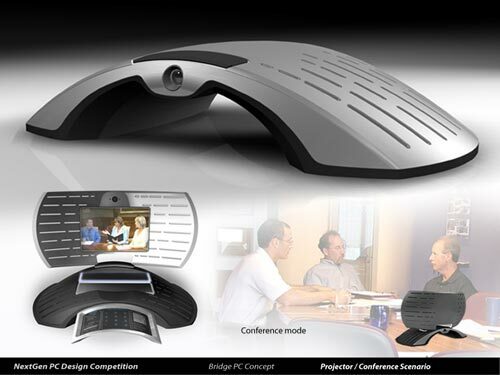 The Bridge PC features a slide out interface and a curved ergonomic panel that changes the way you navigate through various tasks on the screen. This is a stunning concept, I love the futuristic design.